Photo: ANDINA / Archivo/ Jack Ramón. 18:21 | Lima, Feb. 04 (ANDINA). Peru's government has reaffirmed its commitment to meet its coca eradication target for 2013 which is set at 30,000 hectares in the Valley of the Apurimac, Ene and Mantaro Rivers (VRAEM) region in southern Peru, it was reported Tuesday. Carmen Masias, head of the National Commission for Development and Life without Drugs (Devida), said that the government's intervention in this rugged area of the Peruvian jungle is part of the National Drug Control Strategy (NDCS) for the period 2012-2016, led by President Ollanta Humala. She said that although the intervention has carried out works focused on alternative development, the coca fields are needed to be uprooted, as the area concentrates 54 percent of the coca leaf that drug trafficking targets. Indeed, Devida's top official stressed the southeastern Amazonian region has the proper conditions to host alternative crops, such as cocoa, coffee and other legal agricultural products. "A proof of this is that half of the population (in the Vraem) cultivates licit crops and are looking for peace and harmony," said Masias. 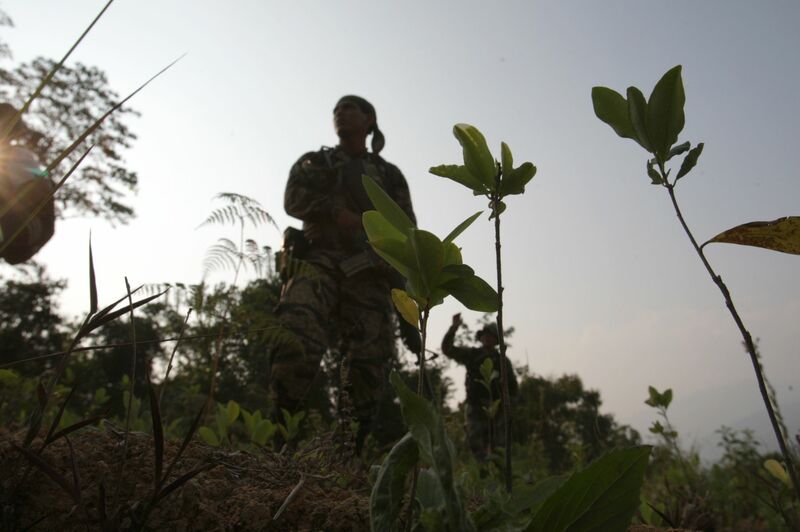 The government’s VRAEM eradication goal accounts for half of the 30,000 hectares of coca fields targeted for destruction in all of Peru this year. The region is also home to the country’s main natural gas reserves, which President Ollanta Humala has vowed to fully tap to meet soaring domestic demand for electricity.